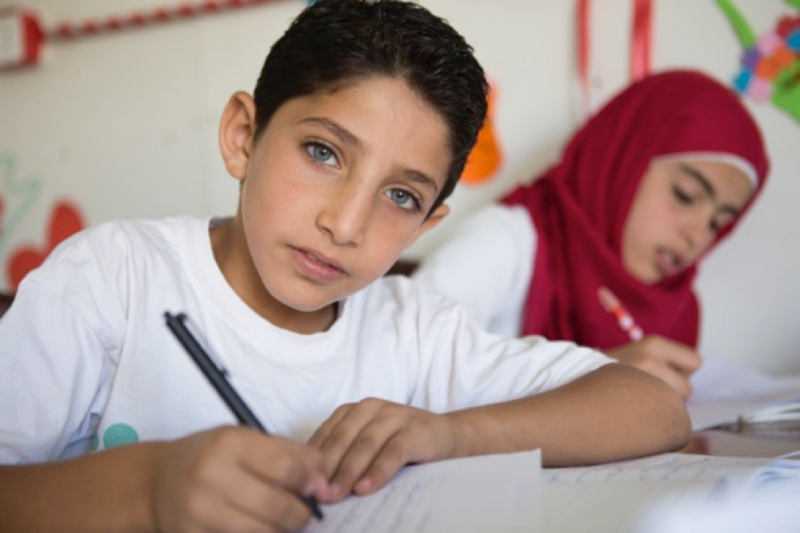 Photo: Ali, 9, from Syria living in Lebanon. "Yes I love to write poems. I lost my dad during the war. I used to write all poems to my mother, she is my hero, and she does everything for us. I would like to be a journalist when I grow up." These were the words of the unforgettable Ali from Aleppo. I visited Ali and many others last week at Beyond Protection Center. Ali is one of the amazing children that has been active in the press club in the camp. He writes letters and articles about his situation, his fears, his dreams and his progress. Today, I'm at the UN General Assembly in New York to deliver letters written by Syrian refugee children to world leaders. These leaders met in London eight months ago and promised that every refugee Syrian child will be in school this year. But so far the promise has not been delivered and more than half of all refugee Syrian children in neighboring countries will not be starting the new school term in the next few weeks. I'm here to urge these leaders to keep their promise because promises to children should never be broken. I remember everything about Ali, his beautiful face with his wide blue eyes, the way he talks, moves and the way he smiles. Yes, he's really shy, but when it comes to his writing skills, he can beat any professional journalist with his sincere and deep words. Ali is a Syrian refugee who left Syria 3 years ago and is now living with his family in West Bekaa. He is not an ordinary child for me; he's one of my heroes. 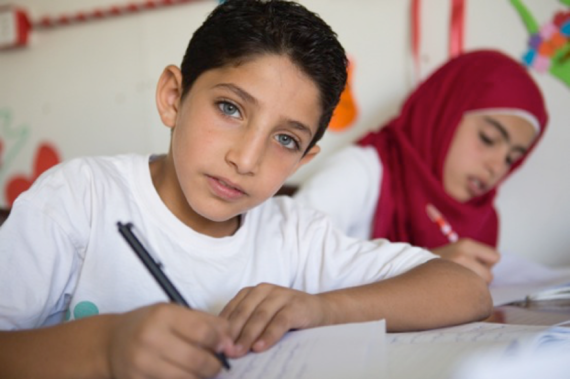 Since I started working with Theirworld, interacting with Syrian refugees in Lebanon on a daily basis, I became more engaged to learn, to be more involved and to try to make a difference in their lives. Ali is not the only one that I would like to talk about, there are thousands and thousands of Alis who are living here, who have lost a lot: a home, a family member, a school, a friend - but never lost hope. These children have been tagged with numbers and codes in different tents and camps instead of being tagged with stars on their forehead for their achievements in schools. These children are my heroes. Not only because they have faced tragedy and instability but also because they taught me how to be brave when you need to confront your fears, how to be creative when you need to overcome your challenges, how to be positive when you are surrounded by cruelty. I have never been a refugee; I have never tasted the bitterness to be out of my country, my neighborhood, away from my friends and my school. I was never made to grow up too soon, and to work to earn my living. I have never been violated, harassed. I never lost my childhood. But these children face all of this tumult daily; they are facing it because some of us are blindly walking without even turning our head to them, to their problems, to their needs and the most importantly, to their rights. These children, whose names we unintentionally substitute with case studies and numbers are our present and our future; these are the upcoming leaders, the talented artists, the best scientists. This generation is our future and it will be lost without their rights to play, to have a safe home, to get a proper education. 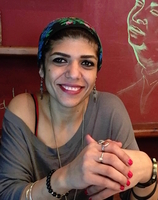 Yara Harake is a Consultant Youth Coordinator for Theirworld, based in Lebanon.